Zwartbles breed classes for the inaugural year at Royal Cheshire County saw a really good display of exhibitors from Lancashire, Shropshire, Derbyshire, Northamptonshire and Gwynedd. There were no aged rams entered. Shearling Ram class with 5 entries was taken by Katy Barwell with Greenhill Enigma. The Ram lamb class with 6 entries was taken by one of Oscar Crossen’s ( represented by Ginnie & Danny). 4 entries in the Aged Ewe class taken by the delightful Pen Llyn Champagne again for Oscar Crossen. Shearling Ewes were the best supported section with 9 forward, this was won by Helen Williams with Henblas Emily. The ewe lamb class with 8 entries was another win for Oscar Crossen with the other of his entries taking 3rd place behind Eliza Burton in 2nd. 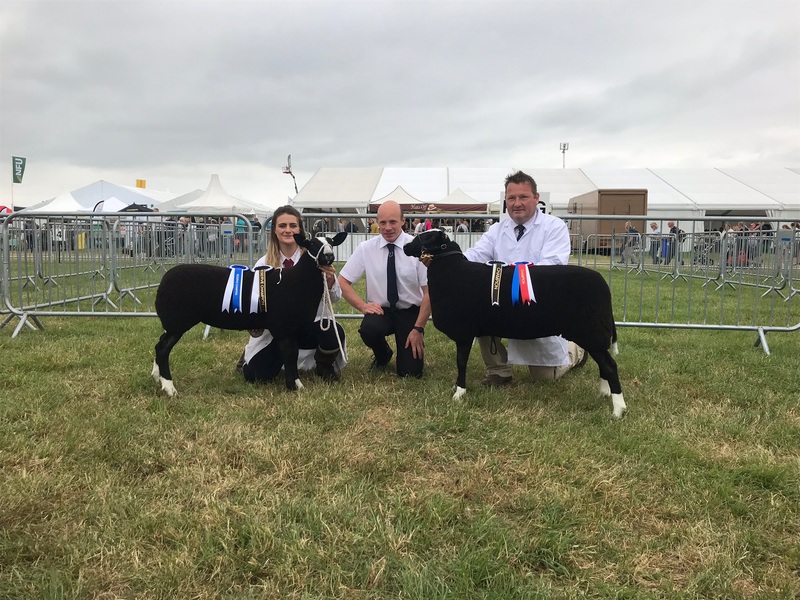 The Championship gave judge Raymond Heigh plenty of choice with the quality of the female shearlings and lambs proving tough to differentiate and it was eventually the Roscallie ewe lamb who took champion from Eliza Burton’s Checkley Fairfax.